You are here: Home / Smartphones / Cheapest Samsung Galaxy S5 clones reviewed. Cheapest Samsung Galaxy S5 clones reviewed. First published on 2014, April 30. Just 48 hours after release of Galaxy S5, the latest flagship by Samsung, Chinese smartphone maker Goophone has come up with S5, which shares similar design to that of Samsung’s flagship. 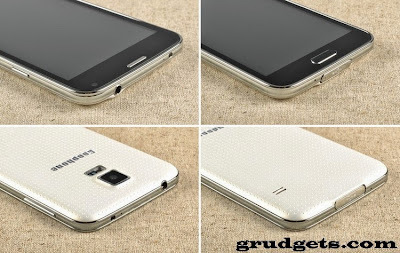 It is 1:1 clone of S5, only thing it lags is the Samsung logo on front and back panel like the original one has. This could be disappointing for some users but still, it serves as common man’s S5. It packs the same dimensions along with design and few features. But there are many differences in their hardware. 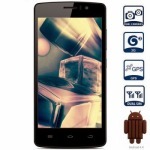 It runs on low cost Mediatek MT6582 processor, which is quad core processor clocked at 1.6 GHz alongside Adreno GPU. 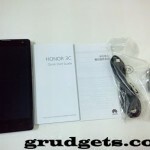 However, the display is not that great, but we can ignore it considering the price tag. It boasts internal memory of 16 GB and 2 GB RAM. This high amount of RAM ensures that you can enjoy multi-tasking with ease and can play even HD games without any lags. They have equipped it with dual cameras, the main one being of 13 megapixels with flash whilst the front one of 5 megapixels. However, don’t expect the camera quality to be like the one which is found on premium devices. I was surprised after looking at the connectivity options since it has only single SIM card slot. It has 3G, Wi-Fi, Bluetooth and GPS for additional connectivity features. 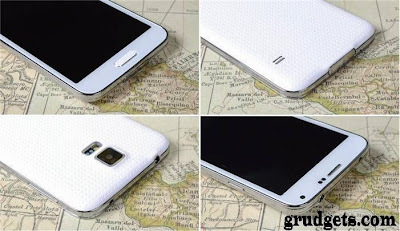 This Goophone S5 is available only for $109.99 from 1949deal. It is probably the cheapest Galaxy S5 alternative available right now. You can order it online from here. The sales box includes the smartphone, 2800 mah battery, 3.5 mm earphone, USB cable, user manual, charger and phone case. Alternately, you can also get it from Amazon with $10 off the original price. Hardware: This phone runs on Mediatek’s processor, which is nowhere as compared to the Snapdragon 801. The benchmark score of original S5 is about 34658, as compared to 17396 of Goophone S5. So, you can understand yourself why Samsung’s flagship has such an enormous price tag. Display: The display is good as compared to others, but it is just IPS panel unlike SUPER AMOLED one. 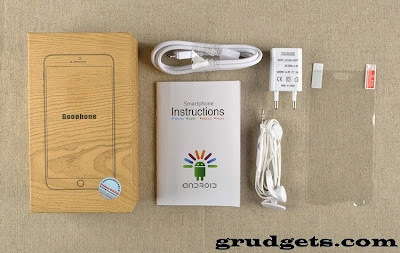 If you are not brand frenzy and just want to show off your device or feel as if using premium smartphone, than this one is good choice for you at a price tag of $109.99 for unlocked version. The No.1 S7 is probably the best S5 clone available by Chinese manufacturer. 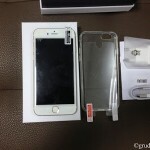 The looks of the device, along with dimensions are quite similar to the genuine clone. Surprisingly, when you start operating the phone, you will be amazed by its software and UI. 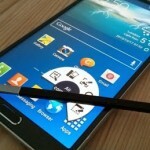 It uses the same Touchwiz launcher that powers all Samsung Android smartphones on top of Android v4.2.2 Jellybean OS. So, apart from copying the same design, No.1 has gone a step further and has even copied their launcher which can be found only on Samsung devices. It uses the same processor that powers Goophone’s clone, i.e. MT6582 but it is clocked at 1.3 GHz. It is clocked at lower speed in this phone. Moreover, there is Mali 400 graphics processor as compared to the Adreno one. The graphics processor helps to provide clearer display and also enables support for many HD games. There is 5.1 inches IPS panel with qHD resolution of 960 x 540 pixels. The display supports 16 million colors and has pixel density of about 240, which is average number. This display is large enough to enjoy movies and HD games. The cameras present on this device won’t disappoint you at all. The main snapper is of 13 megapixels along with LED flash, which is capable of taking 4160 x 3120 images. The front one is also not less, it is of 5 MP. There is only single SIM card slot in this member also. It supports quad band GSM network and WCDMA network for 3G access. Additional connectivity options include Wi-Fi, Wi-Fi hotspot for tethering, Bluetooth, micro USB and GPS with EPO assistance. You have many languages to choose from, in case if you buy this phone. Spanish, French, Hebrew, Korean, Thai, Hindi are few of them. Also check out Note 3 clone. 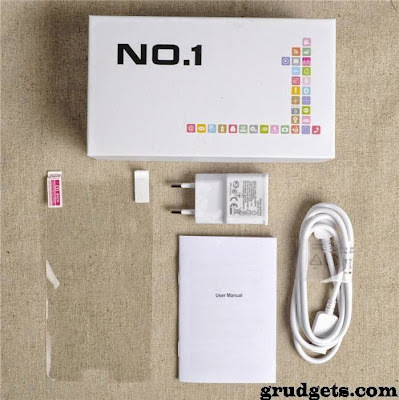 It boasts internal memory of about 4 GB, of which 2.39 GB is available for the end user, which is accompanied with 1 gigs of RAM. The juice to power the device is extracted from 2800 mah battery. This amount of battery is good enough to keep the phone powered for entire day on normal usage. You can expect to get stand-by time of about 2-3 days. UPDATE: Looks like No1 S7 is currently out of stock at 1949deal. You can also buy it from Amazon, with $5 off original price provided by seller or head over to the official No1 store to buy it at much lesser price. You can buy it online from 1949deal for $139.99. The sales package includes smartphone, battery, user guide, charger and USB cable. This proves out to be one of the best Samsung Galaxy S5 clone since it provides complete TouchWiz interface, so Samsung users will just love it. Apart from that, Goophone S5 is also good for the ones who love stock Android, as it provides pure Android experience for enthusiasts. Anyways, you can spend little more and get No.1 S7 clone with better camera. There are many other clones of Samsung Galaxy S5 which you may consider, HDC Galaxy S5 being one of them. Well done Mujtaba. But tell me one thing I am planning to buy Samsung Galaxy S5 but due to its negative reviews I am totally confused. What are your suggestions ? Should I buy it or look at any other phone. Depends on you. If you want, you may go ahead and buy, I bet you won’t repent. Same thing was there with Galaxy Note 3, but after I had hands on with the device, i was quite surprised with its performance. No. You can try resetting. May be that will help. Yeah, you can use any SIM and 3G network since it is international variant. I have an S5 korean clone. There’s no play store installed, so I downloaded one and install it correctly, however, it won’t work. i’ve done all possible ts, search on net, forums, etc..but still not working. Do you have any idea on how to fix it? Hi, this is the link to latest playstore version. Download it from here. You have to push it to system app which you can do if you have rooted device. Search for network manually and then select 3G network. please tell me on thing mujtaba bhai that how much % camera result this clone gives as compare to its original samsung mobile? Even branded phones do burst! You have to be careful with your smartphone’s battery, if it gets heated up too much, than allow it to cool down. My friend both a goophone similar to samsung galaxy s5 she changed the back cover to s5 to look like samsung s5 as she cannot afford to by e samsung galaxy s5. Can she replace samsung galaxy s5 battery with goophone battery as they both got almost the same similarities. Yeah it should work since both of them use 2800 mah battery. i bought a Chinese Clone SamSung SM-G900 S5. Can i use a stronger battery with the same Voltage 3.85V charge limit Voltage 4.4V? Yes, you can use. But it usually not recommended to do so. please I’ve been doing some research and I’m hoping you can help me. I am working on assembling an Android handset in China or Korea, then branding and selling in my country. but I am completely clueless. don’t know where to start. Please I’ll like to pick your brain sometime. Please please please email me when you can: (Email removed). Thank you. I bought S5 korea made clone from bangkok. Internal phone storage is reflecting as 22mb and also after putting external sd card, i am not able to download app and the app is also not running is sd card storage. any solution in order to fix it…. Hi, are there many pre-installed apps? You can try restoring to factory settings and see if that helps. I have already tried factory setting restore but that option does not worked out. Please suggest any other solution. SO sorry! I don’t have much knowledge about contract phones. hello, i have samsung s5 korean clone then i notice it that my battery drain faster in just atleast 8 hrs for texting only, and i don’t even download any apps,except the default … what should i do? isthe battery is original or not,? if not, can i replace it a new one which is the original battery? 8 hours is too fast. If it gives screen time of about 3-4 hours than its normal. Or try using cpu spy to find out if your phone is going into deep sleep or no .